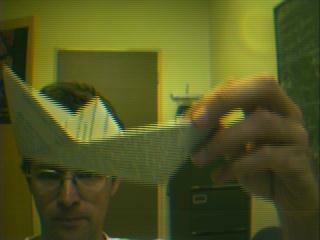 There are many nice traditional paper folding models, known to many people, but too often forgotten when they grow older. 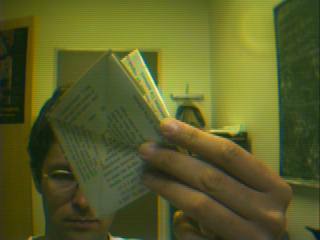 While origami is traditionally from Japan, several of these older models may have sources that may be found outside Japan. 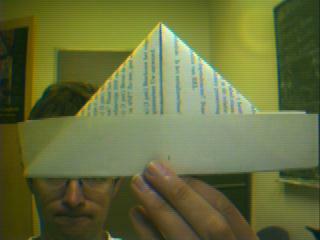 The boat, which I learned as a child, can be made from the hat. In the pictures below, I should have smiled more. 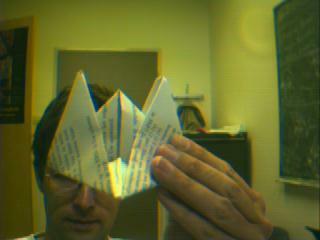 First, make the hat, from a paper of e.g. A4-size, or a newspaper. 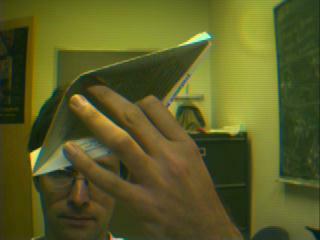 You can read how to do this. 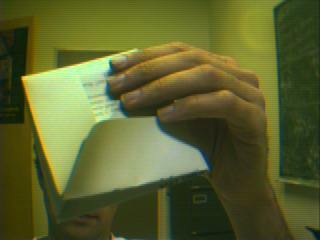 Open the model at the inside. If you know what happens, it is not so difficult. 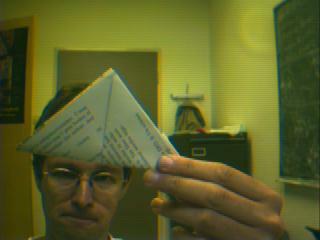 We move the corners from the triangle towards each other, while the middle parts of the long side go far apart. In the end, we have a square. 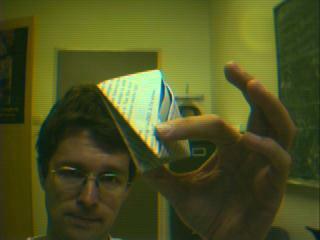 Fold at one side the square in half, folding the open point below to the top. 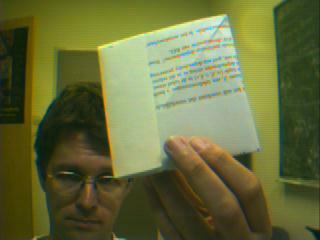 And similarly, fold the other side up in the same way. We again have a triangle. 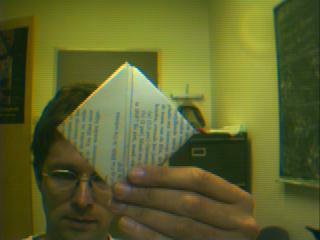 And, now we do the same trick again: Open the triangle at the bottom side, and move to corners towars each other. We end up again with a square. And the boat is ready! 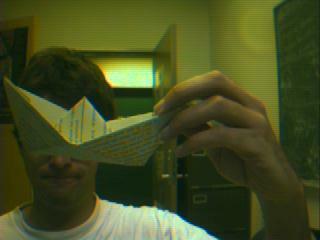 It can actually float, although of course it'll sink after the paper is gotten wet. WWW page made by Hans Bodlaender. WWW page created: June 11, 1998.